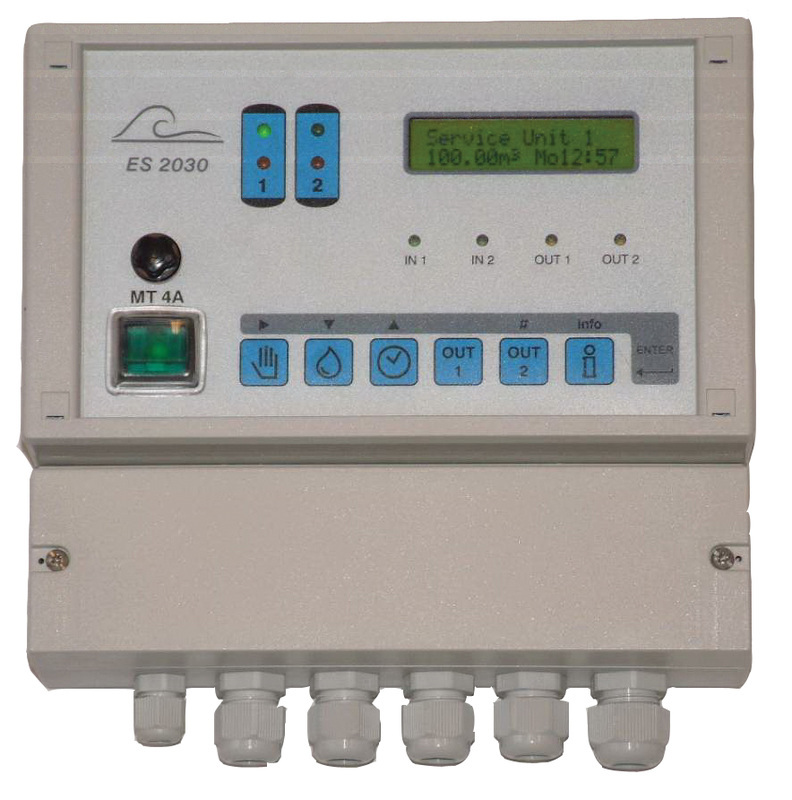 Universal applicable units for automatic monitoring and control of softner plants and suitable for single and double column installations in alternating, parallel or serial circuits. Universally implementable for a wide range of control valves and pilot valves. Adaptable to user specific requirements by built-in programmable options. The programmed configuration will be stored into non volatile memory and therefore not be affected by power loss. Click below to download the chapter 'Control Boxes' of our catalogue!